Admitted to practice before the United States District Courts for the Eastern and Western Districts of Missouri, and Northern District of Illinois. 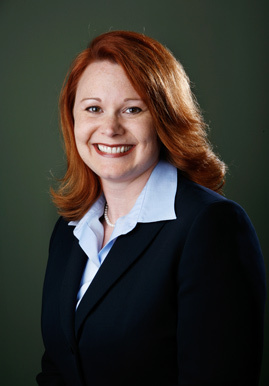 Angie Scott is a Principal with the Firm. She is a graduate of St. Louis University School of Law where she also received a Certificate in Employment Law. Her practice is concentrated in labor and employment law. Prior to receiving her law degree, Angie worked as Director of Administrative Services for a local hospital. She draws extensively from her past work experience, which includes negotiating labor contracts and assisting with the defense of unfair labor practices. Angie regularly defends clients against discrimination charges before the Equal Employment Opportunity Commission, Missouri Commission on Human Rights, Illinois Department of Human Rights, Kansas Equal Employment Opportunity Commission, and the Nebraska Employment Opportunity Commission. Angie conducts internal investigations related to discrimination charges and matters involving employee misconduct. Angie also regularly handles unemployment claims and appeals and advises clients on employee wage garnishments.